Before buying anything online it's important to research well and study about the product/item or in this case the artwork which you may be looking forward to purchase. Whether the artwork is painting, photography, sculptures etc. for with the change in the market with time that what deemed more precious sometime back may not hold the same value at present.Nothing can be more reliable than your knowledge in this genre. Beware of junk, duplicates and other form of unauthentic products in the market. Often in paintings thick paint is re applied over to make it look original, besides there are many Websites that are un-curated and offer amateurish art that are substandard. Compare other artwork of the artist, his/her signatures, and number on the print etc.Beware of a scam where the print is not numbered. Do Your Homework about the artwork, the Artist and the Site. Often the online sellers are dealers /agents themselves that serve as middle men between the artist and the audience and earn a percentage over the profit earned from the sale. One must verify about the agent as to how long has he been in the business which would help in determine his ability and genuineness of his commitments. However its best preferred to buy directly from the artist. The artists themselves prefer it as it helps to facilitated direct interaction with the artist which is encouraging and appreciating for him/her and one can get first-hand information about the artwork directly. 4) Resume or biography of the artist/ about the artist. Before you buy the artwork which appeals to your interest, you should judge, cross check and research about the artist. Check for his works, his profile, whether he has gained recognitions locally, nationally, internationally etc. if he is a part of any recognized artist forum or professional groups. Check out for his credentials, such as awards and tittles won. Read about the artist's resume or biography to get a closer idea about his/her type of work. 5) Cross check the Legitimacy and the seller's reference. Even if you're buying from a trustworthy source, there are some crucial points to remember like; is it second hand product which was pre owned, its present condition, ask for a specialists to give his expertise on the product/artwork. Before clicking on the button in online auctions, there is buyer's premium fee the auction house charges, the buyer can be anywhere from 15 to 30 percent of the final bid so keep in mind all the additional fees! 6) Demand certificate of authenticity. One of the best thing you could rely on are the certificates awarded to the artwork that justifies its authenticity, besides certificates from a known art gallery forum as well as the signature of the artist on the artwork. You can always demand any documentation with details of authenticity which may be suited to prove from the dealer, gallery or the artist representative from whom you are buying. Look for credible companies that give all necessary information. Be willing to pay a fair price for the artwork. The authenticity certificate with descriptive details may further add to the price of the item. Beware of duplicated work which may be available at huge discounts than the original. Auction format which often offer secondhand or clearance items may not meet your expectations of the quality, condition or the originality. Do check and compare prices and product before settling with the final payments. Buying art online is affordable but compare prices to get the best deal for yourself. Before you make online payments be sure you are buying from a genuine site with proper pay services and guaranteed sale. Make sure the online gallery allows you and gives you a chance to change your mind once an artwork arrives and to return it, after a reasonable period without any hassle, if you are not satisfied by the item you purchased. Be sure the seller uses a professional shipper so that you can be certain that your item is delivered safely and reaches you in proper conditions for often one is expected to pay for the shipping being inclusive in the final payment. Often what appears online is different when you see it physically. One should check out several other offline galleries, shops and artwork seller's zones to get a good idea about the products and can therefore judge well about its real appearance and look. Besides the price usually differ from that of the offline. One should put efforts in gaining sound knowledge and to keep upbeat with what's in store offline in reality. 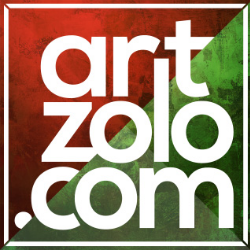 At Artzolo we understand art and the value of art and artists. The very beauty about an art is its uniqueness and originality hence we strive to canvas its charm and make it accessible to our customers. As we understand the safety needed to be undertaken while handling preciousness, we offer the best shipment of your purchased items from us so that your item reaches you well intact. If you're looking for unique and authentic creations by the truly talented and gifted artists this is the forum that caters to your needs. For those artists who would like to express their passion and language of art may find home for their creations here with us at Artzolo. Call +91-9956445560 for all your art needs and allow us to help you choose the best art you can buy online. The Art of Photography- Lights, Camera, Click!